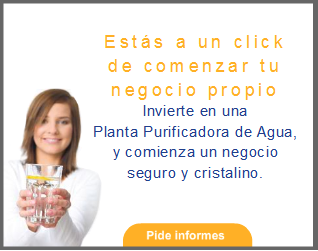 Purificacion del agua: Iron in your Water? No Problem! Water. Hopefully these informative documents will serve to give you a fundamental understanding of this issue. Additionally we would like to offer you this Water Wisdom video hosted by yours truly, Aquaman. I’m a Water Quality Association Certified Water Specialist, which basically means I know quite a bit about water chemistry. The video explains the basics of iron in water, and also offers some product solutions. Hey everyone; Aquaman here with Water Wisdom sponsored by WaterFilters.NET. Today’s video is both about this particular cartridge, this is an iron oxidizing cartridge (part # RFFE-20BB), and this video is also about iron, in general, in your water. Now, iron is going to exist primarily in untreated waters, especially well waters. It can be very complicated, but I’m going to boil it down to some general things. For starters, iron exists in your water in primarily 3 forms; one of them is iron bacteria. It isn’t exactly rare, but it’s something that requires special testing, that you’re not going to know you have it until you realize that other solutions aren’t working. So, there’s no easy way to isolate it without starting out, right out of the box, with a fairly expensive, high quality laboratory test of your water, and that can verify exactly if you do or don’t have iron bacteria. Iron bacteria is very different from just plain elemental iron in your water. It exists in 2 primary forms. One is the regular non-oxidized form; this is ferrous iron, and the other is the oxidized form called ferric oxide. Ferrous iron is dissolved in the water. You can’t see it, you can’t taste it, but it’s there, and when it becomes exposed to oxygen it will precipitate out of the water in the form of a rust particle; now it’s ferric oxide. Ferrous iron can pass right through this filter, or any other filter, but ferric oxide will get captured by a sediment filter. So, if you have an iron problem, one of the ways that it can be dealt with depends on the level of the iron. It’s pretty common for iron to be less than 3 parts per million; again good testing will reveal this to you. The RFFE-20BB is an iron oxidizing filter that uses a potassium permanganate impregnated Zeolite media. It’s just a microscopic granule that microscopically has many intercostal spaces (meant to say interstices), and it is coated with and impregnated with potassium permanganate which is a very strong oxidizing agent. So, the ferrous iron enters this filter, becomes oxidized, precipitates out of the water solution in the form of a rust particle, and then you have either a sediment filter like this or in some cases a carbon filter that captures the oxidized particles out of the water. So, your iron problem; some people come to me and they say, well I have rust in my water, well that’s not the whole picture. They’ve got ferric oxide, because some of the ferrous iron has already oxidized and is now in particle form and can be captured, and they’re seeing that in their toilets, in their dishwashers, in their washing machine staining on their laundry, but putting just a sediment filter in will remove the already oxidized ferric oxide, but then the ferrous iron that remains on the other side of the filter will eventually get exposed to oxygen and become ferric oxide and form rust particles and show up downstream after the filter. This, unless you first oxidize the iron with an oxidizing filter, and then all of the ferrous iron has been oxidized and can be captured by a sediment filter or a carbon filter. Now as I indicated, the RFFE-20BB is only good up to 3 parts per million, so if you have a severe iron problem of 4 or 5 or 6 parts per million, there’s no cartridge in the world that can fix your problem, you need a full-fledged tank style system. This is a 12 inch diameter tank, 50 inches tall with one of those electronic valve heads on top, and this is a system that will have an oxidizing media and it will automatically backwash itself with this valve head. A much more complex system, you’re looking at a minimum of $900 to $1000 for one of those, possibly more depending on what other peripheral equipment you need for that severe water problem, but less than 3 parts per million iron, you can use the RFFE-20BB to oxidize the ferrous iron, turn it into ferric oxide and then capture it with another filter after this. One more minor problem; if you’ve got a serious iron problem you probably have some of the iron already in the ferric particle form before it gets to this filter, and unfortunately this RFFE-200BB is going to clog much more rapidly if it is capturing all of the already oxidized ferric oxide particles. So, you really need 3 filters to do it right. You need a sediment filter before the iron oxidizing filter, and then a sediment filter or a carbon filter after the iron oxidizing filter. Now, the reason they often use a carbon filter after the iron oxidizer is because of the troublesome trio. The troublesome trio is Iron, Manganese and Hydrogen Sulfide. Manganese is another metal that is dissolved in the water and when it oxidizes it forms a very difficult to remove black stain. Where there is heavy iron, there is almost always manganese, and there is almost always also Hydrogen Sulfide. Hydrogen sulfide is a gas that smells like rotten eggs. If you have a rotten egg smell, you have hydrogen sulfide gas. Now this filter will not deal with, the oxidizing filter will not deal with, the hydrogen sulfide, but a carbon filter after it will. So that’s why you have the threefold system. You have a sediment filter to protect the oxidizing filter from getting clogged rapidly, then you have the oxidizing filter to take the ferrous iron and turn it into ferric oxide particles, and then you have a carbon filter after to capture the ferric oxide and to deal with the hydrogen sulfide problem which probably exists if you’ve got a severe iron problem. So, this is the RFFE-20BB, and this is iron; iron is tough stuff, it’s hard to get out of the water but if you do it right it can be managed. If you have any questions, call the technical department at WaterFilters.NET, we can definitely help you find what you need. I’m your host Aquaman; thanks for watching! Hopefully this information will help you find a solution for your iron problem.